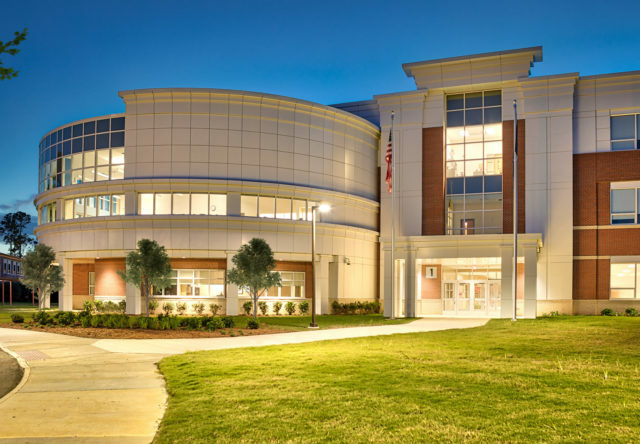 The new James Blair Middle School is designed to support all of the different ways that students learn. 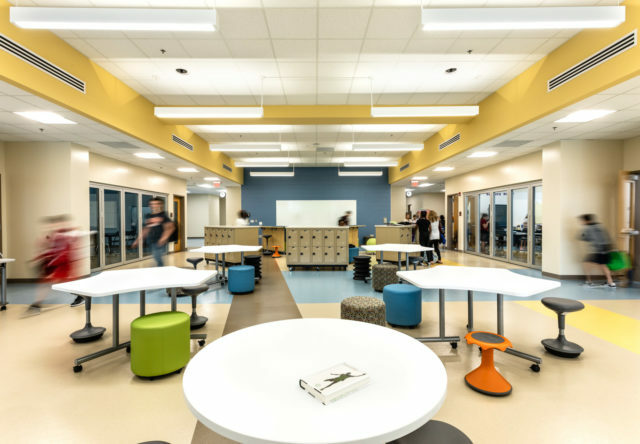 The new facility embraces the concept of flexibility in an integrated environment by allowing teachers to switch methodology and recombine students for short periods of time based on their mastery of stated standards. 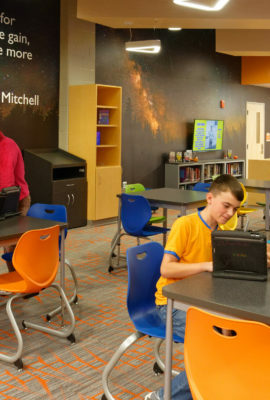 This approach is creating new opportunities for students, and maximizing personalized learning at the school. 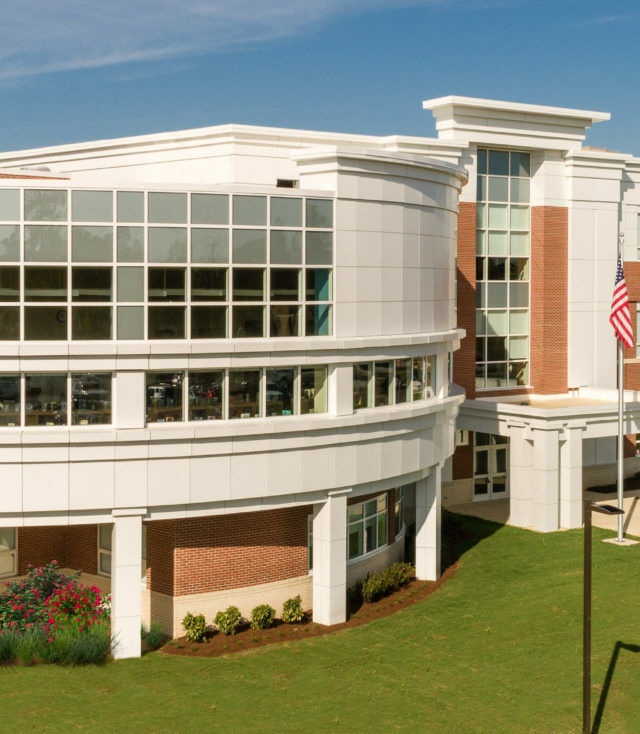 As part of James Blair’s future-ready design, the school will be able to easily adapt to new technologies and curriculum changes in the future. 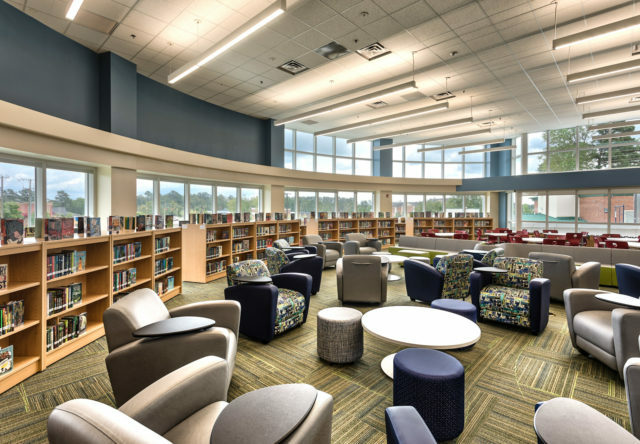 Extensive natural lighting in the media center provides an inspirational setting for student collaboration. 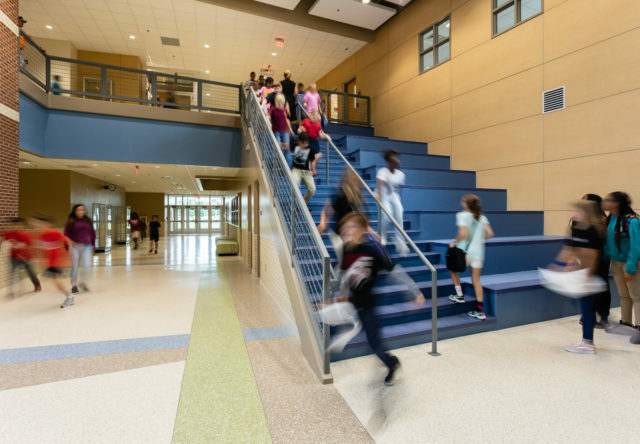 The central gathering stair is a favorite destination among students for presentations, socialization and independent study. 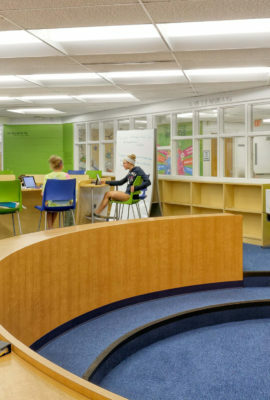 Movable walls allow classrooms to be rearranged to suit different lessons or class sizes. 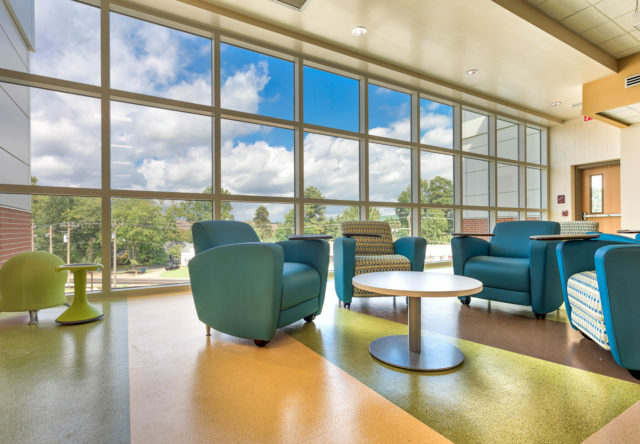 Glass dividers between spaces increase the amount of natural light and create a sense of openness. 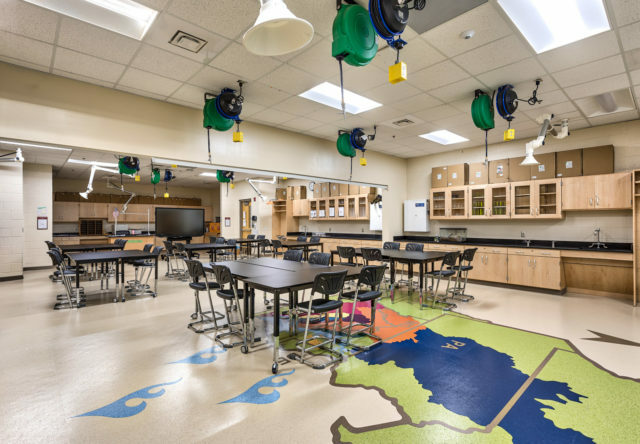 Multi-purpose lab classrooms create opportunities for exploration in science, technology, engineering and mathematics to teach students future-ready skills. 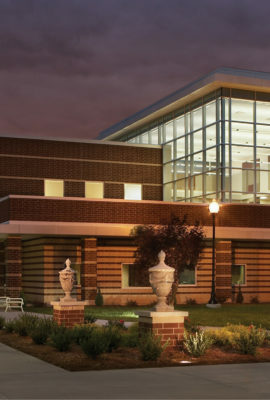 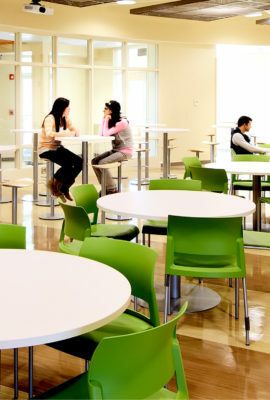 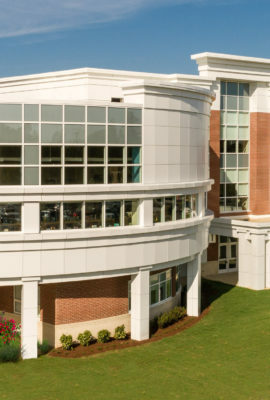 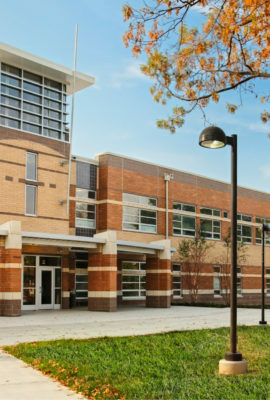 Daylighting strategies make the school as energy efficient as it is welcoming. 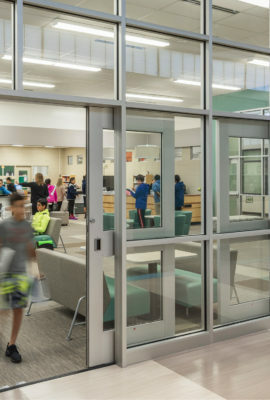 As part of James Blair Middle School’s flexible design strategies, the school will be able to easily adapt to new technologies and curriculum changes in the future. 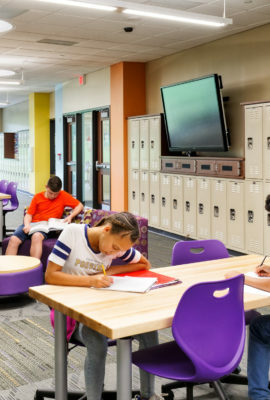 Our goal for James Blair Middle School was to maximize student and teacher collaborative space to allow rapid rearrangement and customization of the learning environment. 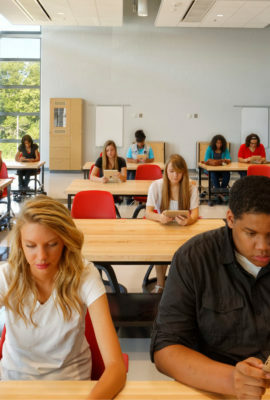 Functionally, this allows educators to respond efficiently to evolving teaching and learning styles.